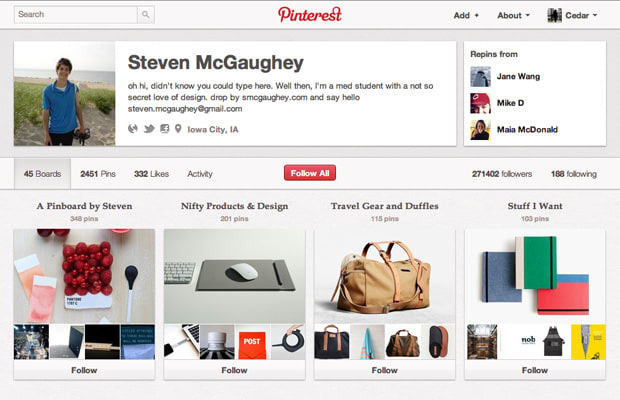 Steven McGaughey describes himself as "a med student with a not so secret love of design." We&apos;re impressed by his "Nifty Products & Design" and "Travel Gear and Duffles" boards. In case you&apos;re trying to buy him a gift in return for his amazing account, he has a "Stuff I Want" board that&apos;ll make it easy for you.